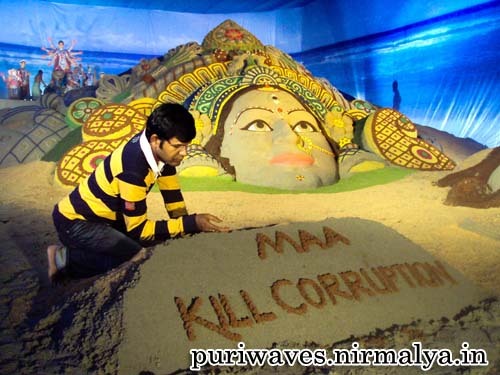 on the fourth day of Navratri. 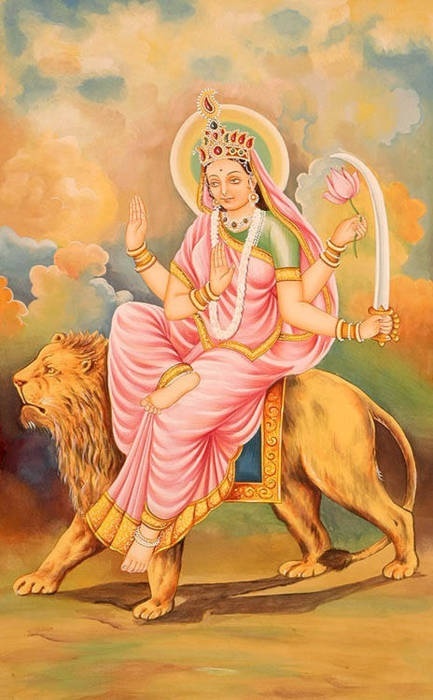 The abode of Goddess Kushmanda is the Bhimaparvat. 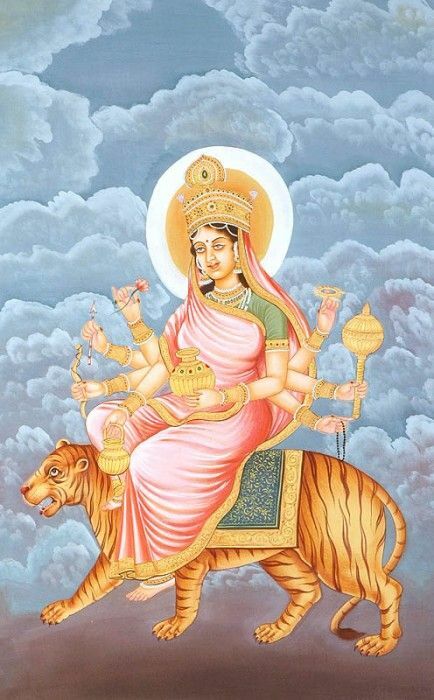 Goddess Kushmanda is depicted with eight arms holding weapons and a mala (rosary). दधाना हस्तपद्माभ्याम कुष्मांडा शुभदास्तु मे !! 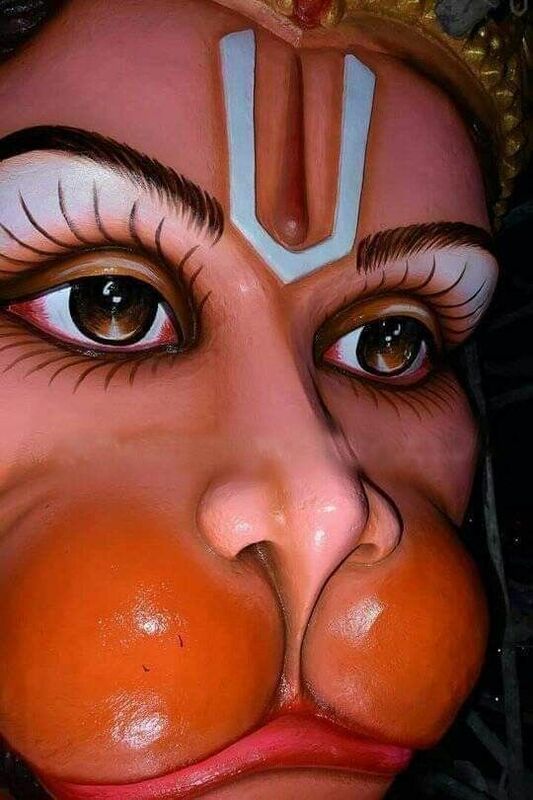 Dadhana Hast-padhmabhyaam Kushmanda Shubhdaastu me ! !